Cooking With Elise – Empty Nest Day One: I survived! Empty Nest Day One: I survived! Home » Family » Empty Nest Day One: I survived! Well folks, I survived my first and very quiet official day as an empty-nester! Last week, while on vacation, I knew that returning home would be challenging and perhaps difficult, not impossible, but difficult. My mom and sister have called, emailed, found me on facebook and have no doubt been somewhat concerned about me. After reassuring them that I was totally fine, I remained optimistic about my first day at home alone. 1. Continue to wake up early with Mike. Wave out the window as he leaves for work (he loves this). Didn’t happen, unless you’d consider eating two of my Blueberry Muffins a healthy choice. I must say however that it did satisfy me in the moment. 3. Read my Bible in the a.m. Check. Mike still has clean clothes, now if I could only get myself back to the ironing board. don’t. feel. like. it! 5. Begin an exercise routine by getting on my elliptical for an hour. Didn’t happen; are you surprised by this? 7. Do a couple of errands which consisted of dropping by BJ’s Wholesale Club to stock up on napkins, paper towels and toilet paper. I also wanted to get some bottled water and more batteries just in case Miss Irene decided to stop by for a visit. Check. Got the water not the batteries. Don’t want to appear too hospitable. I’m hoping Irene postpones her visit. 8. Heat up Sunday’s leftovers (cooking for two is fun!) and hear about Mike’s day. 9. Go for a three-mile walk at the lake after dinner with the hubster. Didn’t happen (at least not yesterday) instead I chatted with both of my boys on facebook, did my Search-a-Word puzzle for about 15 minutes and then snuggled with Isabel while reading my new favorite book, The Help. Can’t wait to see the movie next week … must. finish. book. first. Overall, how do you think I did? I think 6 out of 9 isn’t so bad. This morning, as soon as I complete this post I fully intend to make my way upstairs to my elliptical that seems to be calling for me and then head off to the salon for a little pampering … thanks honey! I didn’t eat any muffins for breakfast, plan to eat a nice healthy turkey wrap with smoked Gouda and veggies for lunch with perhaps a little cup of Greek yogurt and fresh fruit and then get a walk in between my household chores and necessary phone calls. Oh and I guess I better make a final decision about what the heck I’m going to cook for the 2011 Meals on Wheels Chef’s Challenge which is, oh, less than three weeks away! If I’m going to defend my title from last year, I better come up with something good! What did I learn on Day One? In a nutshell, I learned that being an empty-nester doesn’t mean that you will do everything perfectly. It doesn’t mean that you’ll be extremely thrilled to be home alone. It does means that we are very happy that our children have been given wings to fly. Their education is no longer our sole responsibility and they will teach us new things! It means that I can think about myself a little more and set personal goals. With goals comes a plan and I’m making one. I don’t think I’ll come up with the perfect plan, but I am trying to do my very best. I quickly realized that it is about seeing things in a positive light. Being thankful for all things (1 Thessalonians 5:18). I am thankful for each of you … I am not alone! 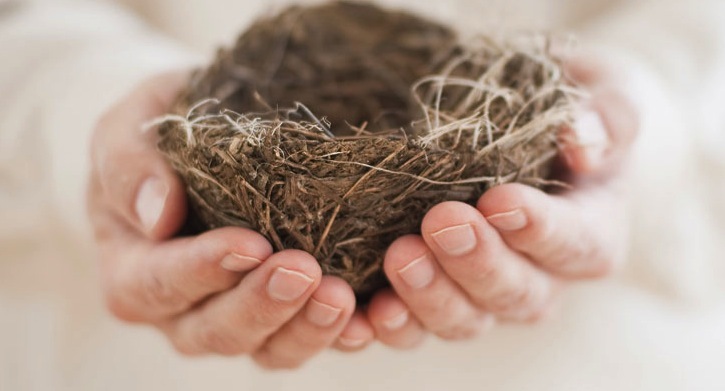 3 Comments on "Empty Nest Day One: I survived!" Sounds like a great day to me , Elise! Praying you find this new time in your life rich and rewarding. It’s a “passage” moment… trusting our children to be the people we’ve seen them become – even when we’re no longer with them every day. And finding our way (as homeschool moms) into new adventures. It does get easier. Hurray! on the personal goals… looking forward to seeing you shine, my friend! You could add playing Scrabble on Facebook with me into your daily schedule!